Spondylolisthesis from injury can occur immediately after trauma or at some future time due to degenerative effects set in motion by the damage. Injury is a major contributor to the development of listhesis in people with and without congenital defects that might dispose them towards suffering vertebral migration abnormalities. Injury is also one of the major causes of listhesis that warrants immediate invasive surgical treatment for some highly specific conditions. This remains a very controversial treatment regimen that is still actively debated in medical circles today. What exactly is spinal injury and how can it be quantified? After all, injury is occurring to us at a constant rate by the passage of time alone. Meanwhile, events in life that cause us physical pain might be considered injury, yet present no evidence of lasting trauma. Therefore, the definition of injury must also be clearly quantified in order to proceed with this essay. What types of trauma should actually be considered injury? After all, there are circumstances such as spinal aging that do not cause pain, but certainly invoke negative structural changes to the form and functionality of the backbone. Meanwhile, some acute occurrences might cause us immediate pain, yet do not create any lasting effects as far as damage to the spine, such as muscular strain. For the purpose of this article, we define injury as any specific occurrence that causes directly or contributes to the development of spondylolisthesis. Of course many other circumstances are still injurious, but do not promote or directly cause vertebral migration, but for this essay, these are excluded from the definition. In the sections below, we well examine some of the most common injurious events that might be the sole source of listhesis due to trauma, as well as contributing injuries that require preexisting scenarios to enact traumatic listhesis. 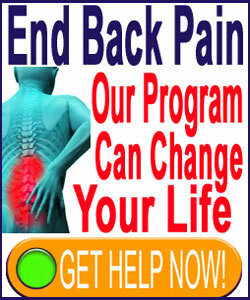 Car accidents are a leading source of spinal trauma. Focused injury can create massive damage in the backbone, often fracturing, subluxating and/or displacing vertebral bones. 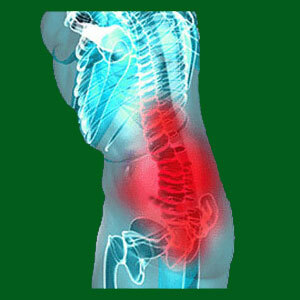 Listhesis can occur immediately upon impact or over time due to the collateral consequences of spinal trauma. Patients experiencing this scenario of motor vehicle collision might endure retrolisthesis or anterolisthesis. Serious falls, especially on the lower spine, can cause fractures and vertebral migration to occur. Anterolisthesis is almost always the result, while retrolisthesis is virtually never seen in falls on the dorsal surface of the body. Acts of violence, sports injuries and general traumas can cause damage to the spine that might result in listhesis of any direction. Spinal surgery is a major source of spondylolisthesis, as it can change the backbone in ways that create hypermobility of individual vertebral segments leading to slippage. Congenital spinal abnormalities, such as thinning, improper formation or general defects in the pars interarticularis, facet joints or articular processes weaken the ability of the vertebral bone to defend against potentially listhesis-causing trauma. Spina bifida, hemivertebra and other structural congenital conditions can dispose a person towards developing listhesis when injury adds stress to an already compromised area of the anatomy. Significant spinal deterioration of the facet joints, spinal ligaments or vertebrae can also dispose bones towards atypical migration under the duress of injury. Likewise, bone porosity and low density conditions also increase the risk of trauma causing listhesis.